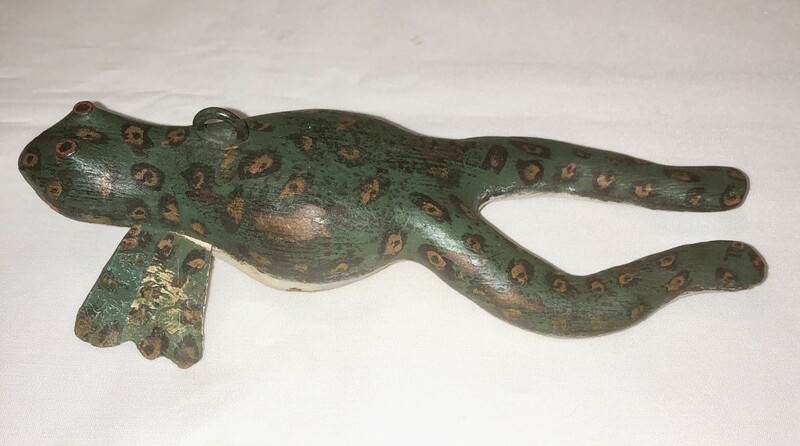 Exceptional large Leopard Frog Ice Fishing Spearing Decpy, 7 1/2″ long. Get carved body with tin front legs. Unusual lead weighted belly with weight covered with a nailed (16 nails) tin overlay. A really nice folky decoy.